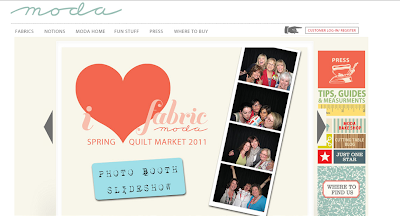 Miss Print: Quilt Market Spring 2011: Vol. 5 and a Giveaway!! Aneela's booth was fun and Kate Spain's as well! I follow you and love your blogging style! Good question! 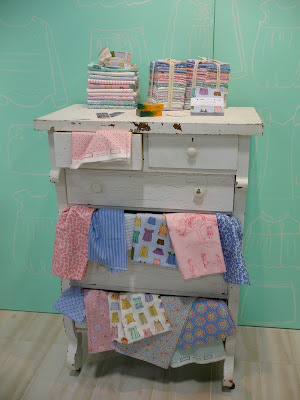 I loved seeing Anna Maria Horner's booth and hearing about her new embroidery floss/perle cotton. Very cool! I think Aneela's booth was my favourite! I can't remember whose blog I saw it on, but the Lecien booth was pretty. Or maybe it was Happy Zombie's booth with her new line Happy Mochi Yum Yum from Lecien. Gads, my memory is just SHOT. And I'm totally a follower! I think the my favorite has been Going Coastal (I think that's the name?) for Michael Miller-can't wait for that one! I'm definitely a follower! Thanks for the chance at the goodies! I loved the Going Coastal booth too and was delighted to see the Birch Fabrics booth as I have a huge crush on the Avalon line! Loved lots of booths but really liked what they did at the Kona Solid one. I like the Tula Pink and Kona booths best. I loved seeing the pictures from Riley Blake's booth. Absolutely adorable! Thanks for the giveaway! I liked you ;-) on facebook...yay! Thanks for a chance to win some cool prizes! I like miss print on fb!! I wasn't there so I don't know which booth was best. I saw so many nice pics of many booths! 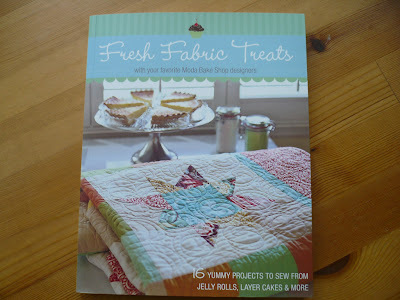 Lizzy House looked fab, and Joel Dewberry, and Tula Pink, and I love Jaybirds quilts oh I could go on and on! I always like Camille and her mother's booth (Thimble Blossoms and Cotton Way). Their new fabric, Ruby is sooo pretty! 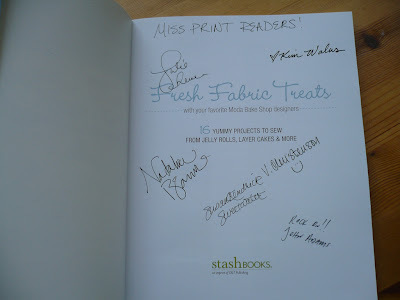 I was most inspired by pics of Tula Pink's booth and new line: so fun and luscious! Wish I could have been there in person. ... and I've been a follower for a while now. 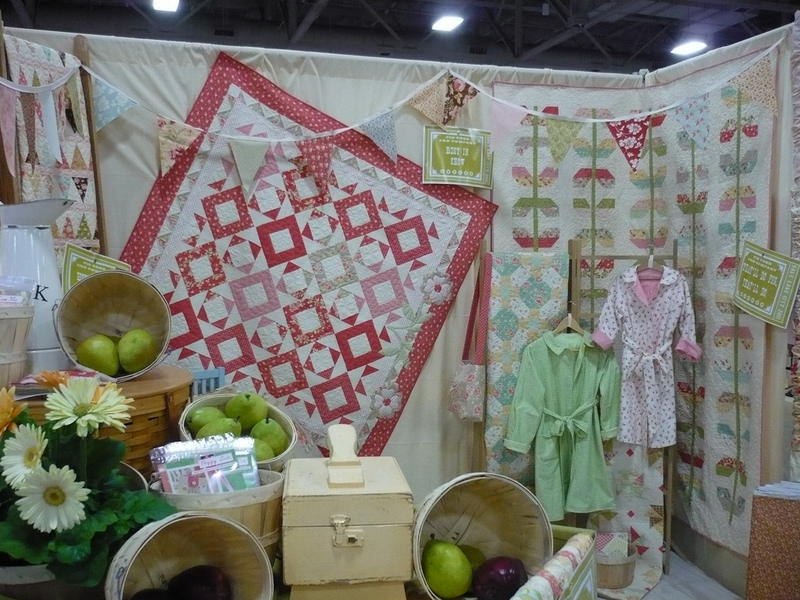 I like the Fig Tree & Co. booth and Jaybird Quilts booth. Thanks for the giveaway! I liked seeing Jaybirds quilt booth! thanks! I am a follower! thank you again! I like Jaybird quilts by Julie, LOVe her colors and patterns she has developed! Yes, I am a follower, fan, and admirer! You inspire me! I just enjoyed all the photos of the booths. The personality of the designer and their fabric seemed to come on through. I love Sarah Jane's booth..
Tula Pink! Definitely! There is something about all those bright colors and prints that just makes me stare. I "Like" very much on FB! I liked seeing Lizzy House's booth! That chair was great. I really like the way you posted the pictures over several posts it was like being there and seeing something new each time, made me feel a part of it. LOVED the Riley Blake displays!! 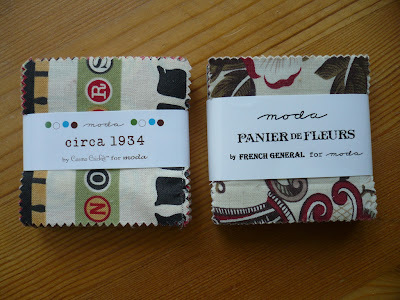 The postage stamp mini quilts are so sweet! They caught my eye right away! I'm a follower, thanks for the giveaway!! And I now "Like" you on Facebook too!! I had lots of favorites but I loved the Echino booth! Their stuff is awesome! I "like" you on fb :0) The petit four squares look awesome! 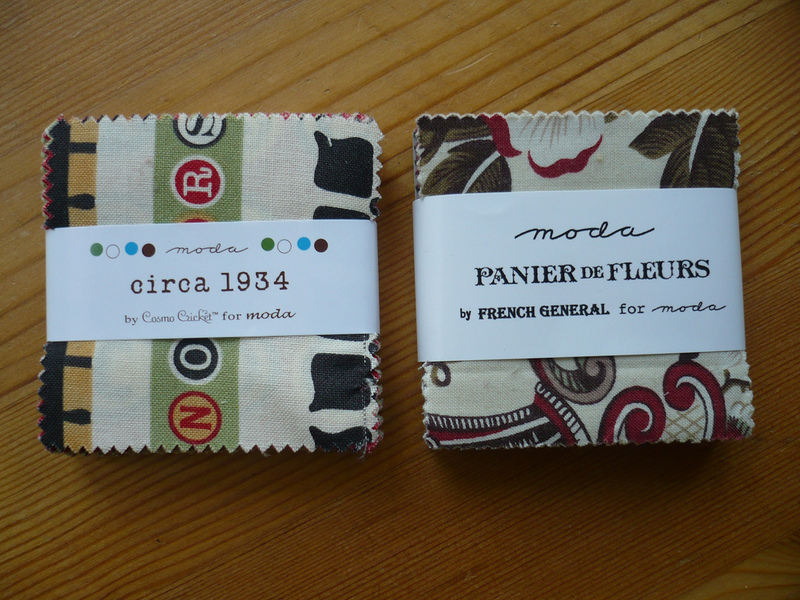 I love the circa 1934 which is on my list to purchase and the "fleurs" petite four sounds lovely!!! I loved the Riley Blake booth with the bike! So cute! Wow! So, I loved the Birch booth photos. Very much my colors. I am, however, partial to the Tula Pink booth, because I just ordered 12 yards of it to make a quilt for my king-sized bed! Also, I'm very excited to be your 25th "like-r" on FB! I loved Kate Spain's booth! I loved the sweet water booth. i loved the Robert Kaufman both (Kona Solids are my fav). I'm so glad you enjoyed the Quilt Market. It all seemed so exciting. Love Oliver & S always! I liked Pat Bravo's Booth! I loved Camille and Bonnie's Thimbleblossom booth! So many great booths this time around. I think Robert Kaufman's booth was my favorite. 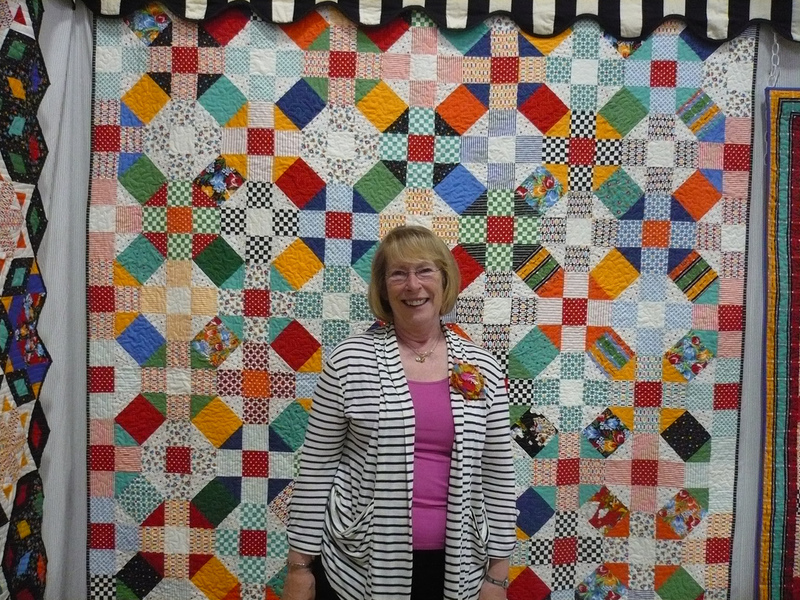 The Kona cottons challenge quilts looked fabulous. and... I liked your facebook page! I really liked the pictures of Jaybird Quilts and many, many others. It all looked fantastic. I am a follower. Unfortunately I don't do facebook so I hope you will continue to put your information on your blog. I loved the KONA booth. All those pretty colors! I liked seeing the Birch booth. I don't think I saw it in anyone else's market reports. I liked the Birch booth. But it is hard to single one out of all the fabulous ones that were there. I am one of your many followers, but I am not on Facebook, so I can't participate that way. Thanks for the chance to win these great prizes. This book is very tempting ! Fabrics too ! I follow your blog by Google reader ! I loved seeing pictures of Aneela's new line a great follow up to pips. I also loved the picture in your last post with that lovely quilt by Elizabeth Hartman which I could just stare at for ages and ages it's so yummy! I loved Aneela's booth and her new range Little Apples is really great! I have to admit though that I loved all the pictures it must have been a great experience! 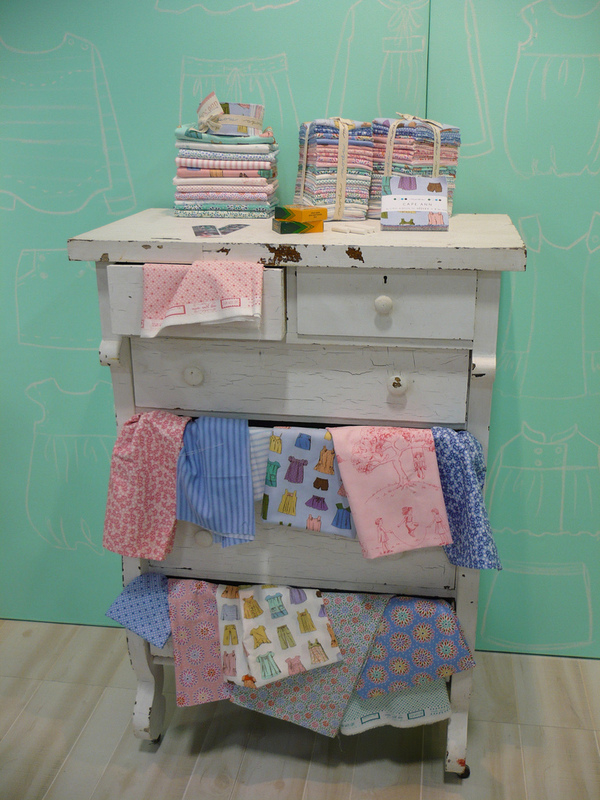 I loved Anna Maria Horner's booth and all her embroidery stuff was just fabulous! My favorite booth was probably Joel Dewberry's. So classic and beautiful. I also loved Pam Kitty Morning and Lori Holt. 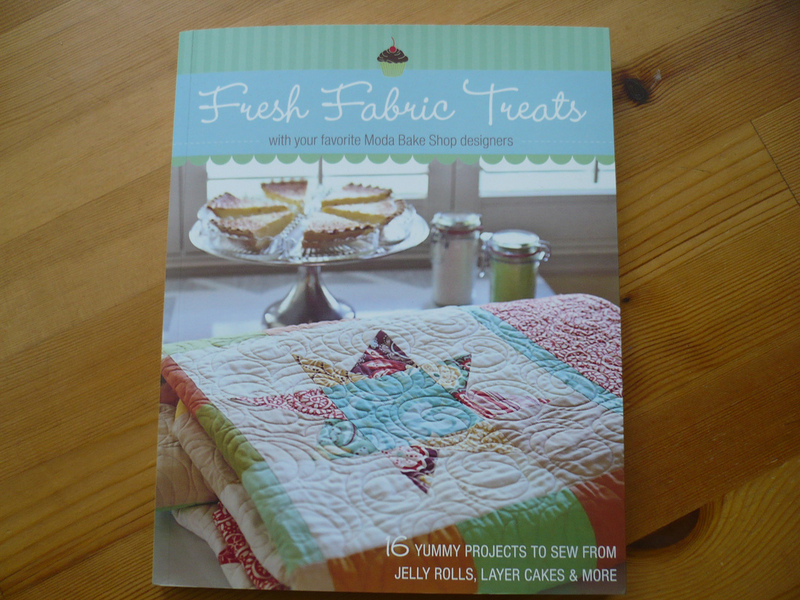 ENJOYED THIMBLE BLOSSOMS+COTTON WAY, JUST LOVE 'RUBY'! THANKS FOR SHARING! I think for me it is a draw between Anna Maria Horner and Bari J, I love both of their styles so much! My favourite booth was Bonnie and Camille's shared booth. Joanna (Fig Tree) was really lovely too. 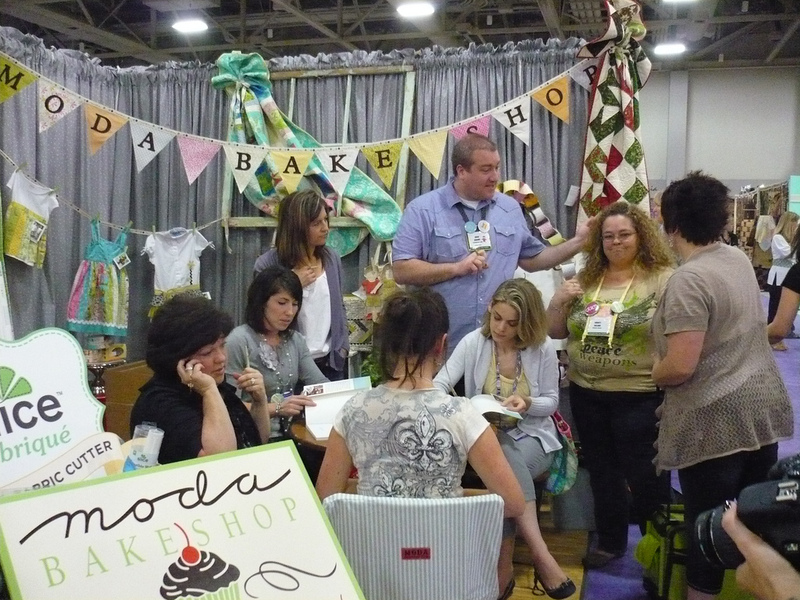 Tula Pink's was my fav booth for eye candy factor. Following, of course! Go Canucks, Go!! Kaye, you've got my thumb's up on FB. I really should use my FB account. The Moda booth. Although I am a SUCKER for all things Moda. My favourite booth was Sarah Jane's. But I also loved Aneela's and Sandy Klopp's too. Thanks for the chance to win. I absolutely LOVED Bonnie and Camille's booth with the new quilts on the wall and showing Ruby fabric. I liked the Ruby booth! I would have to vote for moda. I loved Bonnie and Camille's booth. Thank you for the chance! Wow! So many great signatures - definitely a collector's item! I love seeing any and all QM photos because I'm not one of the lucky ones able to go. I love seeing the decorated booths and upcoming lines and patterns. I do love Sweetwater's booth and just about any Moda designer's booths. I would llooovvvveee to win the book and petit fours so please count me in! Awesome stuff! Loved it all! Wow! Awesome to get all those signatures in the book! A favorite booth would be the Riley Blake booth. I am a follower, of course!! I love the Fig Tree booth each time. I enjoy hearing what the next trends are predicted to be! I loved seeing the Prince Charming booth! And I follow too, of course! Thanks again for the wonderful market updates. Would love to hear your personal experience, but understand if you want to keep it private given all that has been going on in blogland this year! I liked the pics of the Crazy Old Ladies booth that I saw. I liked the pics of the Riley Blake booth. I "like" you on FB. Thanks for the giveaway. I enjoyed seeing the photos of the Kate Spain booth with Terrain. Love the Fig Tree Booth. I really liked Bonnie & Camille's booth (I love their fabrics & designs as well) & thought that it was just gorgeous & very 'them'. I follow you. Thanks for the lovely giveaway. I loved the Kona Solids booth . . . so much potential in those plain, little fabrics. Thanks for the chance! I follow! Thanks again for the chance! 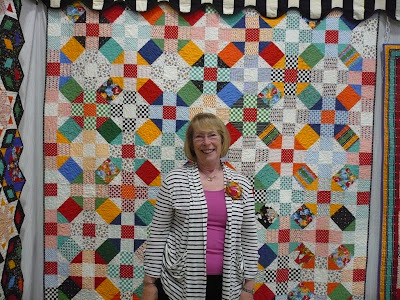 I really loved Julie's booth because it showed all her fabulous quilts off so well. I thought it was visually appealing the way some were hung straight while others hung on their corner hanging down. 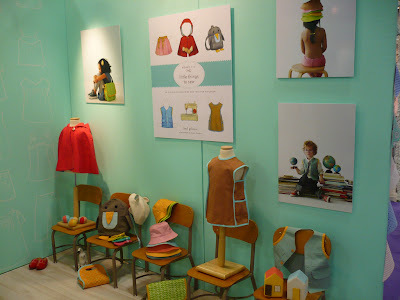 It isn't a Moda designer but I just loved how adorable Sarah Jane Studios booth was. I just loved the Kids playing and doll house etc. Super cute. i really enjoyed the pictures of the Riley Blake booth! How I would have loved to be there, but since I couldn't, I've been soaking up all the photos and commentary about Quilt Market. I've been particularly attracted to the display by Birch Fabrics. I think my favorite booth (judging from the pictures of course b/c not all of us are fabulous enough to go in person) was AMH's booth! Thanks for all of the great pictures and posts! I just became your 45th follower on Facebook! 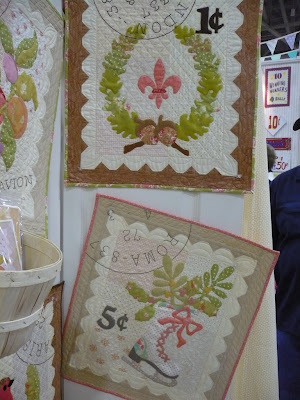 I've always been a sucker for Bonnie and Camille's work--I loved their most recent market booth--the mantle, the quilts...gorgeous! Of course I'm a follower, don't be silly! And now I get to follow you on Facebook, too! I love the kona ice cream cones. That was my favorite booth theme. All of the booths were gorgous in your pictures and in others I have seen. I am a GFC Follower - Love your blog! love your blog. love the Moda booth the most. i'm a new FB follower, too!